Maximize the performance of your EMC VNXe3200 system. 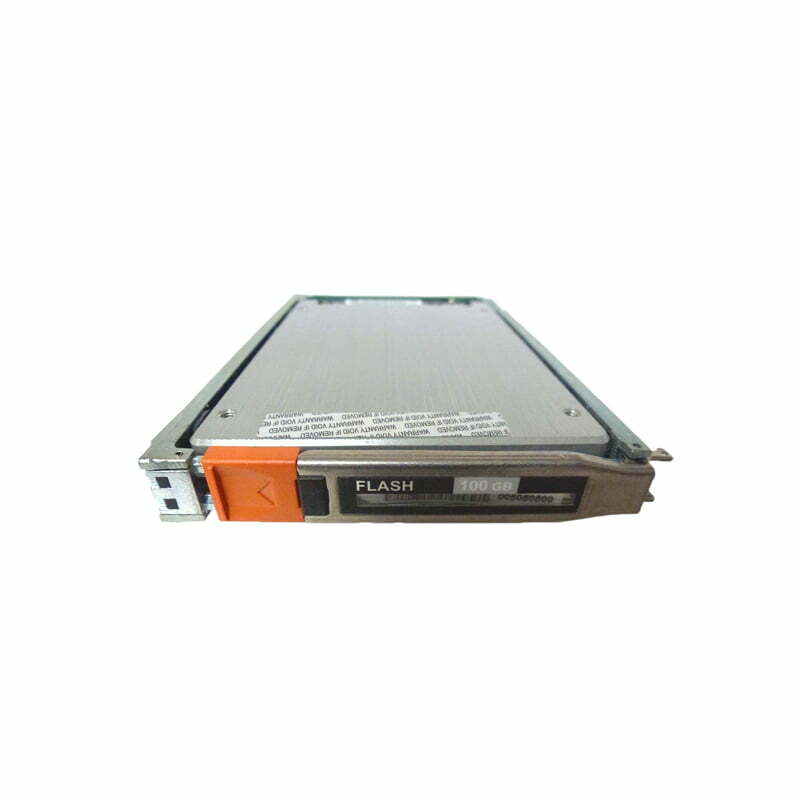 The EMC V6-2S6F-100 / 005049621 is a 2.5-inch 100GB SSD hard drive. All EMC hard drives sold by SPS Pros are previously used, fully-tested, and backed by a 60 day warranty against defects. Same day, international, and expedited shipping available! The V6-2S6F-100 is also known as part number 005049621, 005050367, 005050500 and more listed below. With corporate data growth rates increasing and IT budgets declining, businesses are forced to look at new approaches when deploying storage assets. At the same time, companies are looking to innovate and build competitive advantage while maintaining control of their legacy environments. Data storage is a key enabler in the modern data center, although while capacities offered by storage systems have grown exponentially over the years, disk performance has not grown at anywhere near the same speed. In order to unleash the power of the IT infrastructure as a whole, a paradigm shift in storage offerings is required that removes the traditional storage bottleneck. That shift is upon us with the advent of the Enterprise Flash Drive. Compared to fibre channel technology, Flash delivers up to 30 times the throughput at 1/10th of the response time. The primary benefit of Flash drives is to reduce the time taken to execute business transactions or processes by improving the efficiency of the underlying storage infrastructure. Reducing the time to execute business processes allows customers to shorten product design cycles, reduce the risk of fraud in financial transactions, and show real, measurable monetary value to the business. Flash can improve the overall efficiency of the IT infrastructure by ensuring the right storage option is used for the most relevant application, especially when integrated with storage platforms that support an automated storage tiering solution. EFDs represent a truly exciting opportunity for all size of IT environments to accelerate the delivery and operations of new productions, applications, and services while optimizing the total cost of the solution. Using the SSD / EFD drives such as part numbers 005049621 & V6-2S6F-100 in applications that use small block, random I/O is an important factor in realizing higher performance benefits. These applications have a tendency to minimize any caching advantages of the storage system. In addition, with applications such as these, the physical access to data on the disk has the greatest effect on overall performance. These small block, random I/O applications reap the greatest benefits from storage-system performance improvements. Enterprise Flash Drives, like the V6-2S6F-100, promise to change the storage landscape. Storage performance with EFD takes a revolutionary step forward and allows this traditionally lagging technology to catch up with the exponential performance improvements seen int he server industry over prior decades. Whether your application environment is a database, e-mail, CAD/CAM or any other that is key to your business success and that might be experiencing a constraint due to storage bottlenecks, there is a good chance that the solution to the problem is EFDs. Since EFDs are made available on a unified platform, the benefits of EFD can be implemented regardless of connectivity model, whether the application server uses FC, iSCSI, or NAS (NFS/CIFS). The lack of moving parts also offers additional benefits. Enterprise Flash drives can deliver unprecedented performance, especially well suited for applications that require consistently low read/write response times. Additionally, enterprise Flash drives consume considerably less power when compared to traditional rotating media.